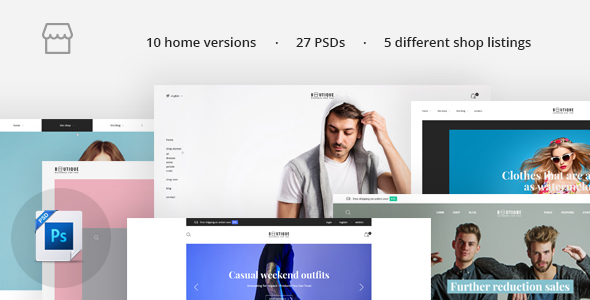 Boutique is a modern & fresh multipurpose eCommerce HTML Template with 10 homepage demos. It was especially created for eCommerce & online shops related website niches. It has integrated bootstrap grid, what makes development process faster. This is a HTML Template especially designed for all type of online shop websites. It includes 27 HTML files fully-layered and easy to customize. None of the images in the demo are available in the final package, but if you want to purchase them, links for each are found inside the documentation after purchase.